Nothing will propel an initiative faster from concept to approval than a compelling Return on Investment (ROI). ROI helps prioritize initiatives and supporting resources. 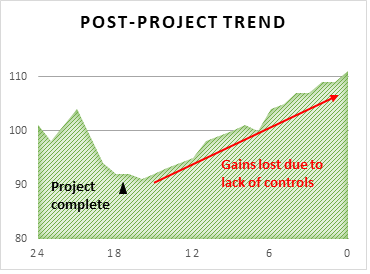 It is common for ROI to be the primary measure of success (or failure) for a project. Leading organizations expect returns from communications solutions to be similar to, or better than, investments into their core business. And rightly so. Voice, data, mobile and cloud services are critical pillars of an organization’s infrastructure. Many organizations find that these services account for their largest non-payroll expense. Maximizing ROI for an investment as large as communications is absolutely vital. What is the secret? The secret to maximizing ROI is to efficiently maintain an optimized communications environment. It is not enough to get your environment in perfect order with all solutions optimized both functionally and financially. Difficult as this may seem, establishing order is only the beginning. Waste is created when organizations hastily invest in “clean-up” efforts to right-size their environments but fail to implement proper ongoing control measures. As a result, the situation returns to its pre-project state. Or often worse. This chart shows a trend of total spend for 24 months following the start of the initial project. The 35 clients in this study represent varying sizes, complexities and industries. For ease of comparison, trends are represented as a percentage of the initial baseline. Shortly after project completion, items pop up here and there. Organizations may address the first wave of items assuming their resources have sufficiently recovered from the stress of the initial clean-up project. But quickly we see evidence that competing priorities deplete these resources just as a deluge of new problems emerge. Maintaining an optimized environment – efficiently – distinguishes successful initiatives from the rest. The chart below shows a trend of 19 organizations’ costs over the same 24-month period. However, these organizations implemented automated lifecycle management practices during and after their initial “clean-up” phase. Three key characteristics of ongoing optimization efforts are Visibility, Control and Automation. Visibility is more than tracking spending and budgets. Effective visibility includes service inventory and change management, contract terms and achievement, and trend analysis at the service, location, vendor, and budget-detail levels. Benchmarking key performance indicators with similar organizations can provide illuminating perspective for targeting areas of improvement. Control measures allow for continual improvement while protecting progress. Service inventory controls, for example, ensure quality of service and compliance. Change management controls eliminate waste while maintaining centralization of planning, execution and maintenance. 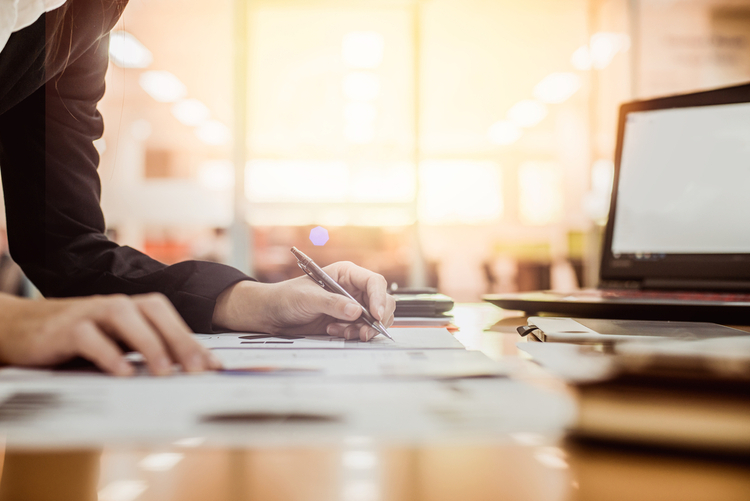 From contract management to budgeting, and approval policies to reconciliation, control measures maintain standards while further identifying opportunities for improvement. Automation is a key factor to ensuring adoption of the standards mentioned. Automation ensures resources can remain focused on making well-informed decisions on the most impactful initiatives without being inundated with tedious, repetitive tasks. With insightful visibility, proper controls, and process automation, return on investment is maximized. Engaging in “clean-up” projects alone can generate some short-term gains, but when carefully evaluated they may not be worth the effort. Make sure clean-up is a one-time project by taking necessary steps early to protect and grow savings achieved. Not only will it yield the best results, but it will ensure the organization is well-positioned for whatever future challenges arise. Cost Management Group (CMG) focused on delivering the right solutions to meet the growing demands of its clients. Contact us for more information on how CMG can maximize ROI with TEM. Are You Getting Reports or Results? To achieve success, you have to define success. In the discipline of telecom expense management, success is not universally defined. As a result, many organizations find resources over-burdened and solutions underperforming. Yet, their provider assures them that the “solution” delivered is not only working, but working flawlessly. How could this be? How could a provider provide a failing solution and still consider it perfect? It’s really quite simple: TEM providers come in different varieties, each with their own definition of success. Most established TEM providers started in the Software category, rather than in Business Process Outsourcing. They invested heavily in software and focused on reaching the Fortune 1000. The platforms were not built for voice, data, mobility and cloud from the start. Other platforms are pieced together as a result of acquisition or merger. Listen closely and you’ll hear clues as to what the product is – your work effort. “This is where you can run reports….” or “Click here to input…” The software demonstration becomes a job training for you or your team. The Software category measures success in manners such as system availability and uptime. Success with this type of vendor is almost entirely coincidental. Success is predicated entirely on your organization’s expertise, efficiency, and execution. Most organizations do not want to hire, train and manage highly-specialized technical and administrative resources to manage an internal solution. MSPs provide data management, input and other ancillary services. As the customer’s environment becomes unnecessarily larger and more complex, MSPs can claim to provide greater benefit. While this provides an advantage over software alone, there’s little difference in the success rates of these two types of engagements. In fact, MSP engagements are often less successful. Under closer examination, flaws in this model become strikingly obvious. How do you know the services provided will produce the desired results? After all, the desired result is not just to perform a set of services. For example, the desired result is not to process an invoice within 24 hours. What if the goal is to eliminate that invoice entirely? This way the organization doesn’t need to pay anyone – internally or externally – to manage something that doesn’t need to exist. Often, MSPs are task-based not looking to improve the overall business process. The work is being executed with little or no impact to the organization’s overall goals and objectives. Every organization has a different starting point, but the end goal should be the same: A Complete Lifecycle Solution that maximizes overall benefit to the organization. A common starting place is cost visibility. How much are we spending today and with whom? What is our forecasted budget? Next comes budget-reduction. This starts with a review of all services. What services are we paying for today? Are we being charged correctly? Are these services even being used? If so, for what and by whom? If not, should we repurpose them or remove them? For these improvements to be permanent, a comprehensive, sustainable lifecycle must exist. Cost Management Group has been focused for the last 20 years on developing a complete lifecycle solution to drive maximum impact and success that is defined by its clients. At CMG, we perform a Process Audit to identify areas of weakness or inefficiency. We develop and implement strategies to ensure best practices are employed, such as automation, visibility and oversight, program awareness and policy enforcement. The primary objective of the Lifecycle is the transition to a lean, efficient future-state environment that maximizes benefit to the organization. Cost-savings is often a critical measure of success. For organizations whose existing lifecycle has gaps, cost savings may be swift and abundant. Gaps can be difficult to see without third-party perspective from resources experienced in evaluating the entire lifecycle. Organizations should also seek time savings – that is, the reduction in overall work-hours performing Expense Management tasks. It is important to stress overall. It is no measure of success to merely trade one unnecessary task for another. Or worse, to outsource it. Therefore, overall work-effort should be examined. Leading organizations spend time assessing organizational needs, evaluating solutions, and making informed decisions. Leading organizations refuse to waste time in administrative minutiae or to pay someone else to do it. A Complete Lifecycle Solution does not measure itself against the organization’s current state. Instead, it’s measured against the organization’s vision for the ideal future state. To achieve the ideal future state, all parties involved must have a unified vision clearly articulated and accompanied by a plan of action and resources capable of executing the plan. As we’ve seen, the focus of other TEM companies ends well before this target. At CMG, this is where our discussion begins. What is your organization’s ideal future state? We encourage you to leverage partners to accelerate your transition to your ideal future state. Listen closely for clues that reveal their true focus. Do they provide a tool? A set of services? Are they focused on your ideal future state? Focus on results, not just reports. Contact us for more information on how CMG can ensure results! http://costmg.com/wp-content/uploads/2017/09/logo-costmanagementgroup.svg 0 0 Neil http://costmg.com/wp-content/uploads/2017/09/logo-costmanagementgroup.svg Neil2019-01-18 09:53:182019-01-18 09:58:24Are You Getting Reports or Results? Imagine you have identified a few areas needing improvement. A budget needs to be reduced. Or a project needs attention from a resource overwhelmed with administrative tasks. Sometimes recognizing pain points is the easy part. Now how do you decide where to begin? Audit or TEM? Let’s first consider TEM, a full telecom lifecycle management solution. It may seem counter-intuitive to start here because clients sometimes think they need to “clean up” everything before implementing a TEM solution. On the contrary, the right solution does the cleaning for you. TEM provides a before and after baseline of inventory and spend with just as little effort as an Audit. TEM also ensures the changes made during the “clean up” are tracked and verified, whether it’s removing service charges from a bill or migrating or consolidating services to a new provider. Any audit will take months from start to finish: from gathering data to analysis, then requesting service changes or placing disputes to final verification on the bills. During that time, your environment continues to change, services are added and removed, contracts are expiring or renewing, and so on. 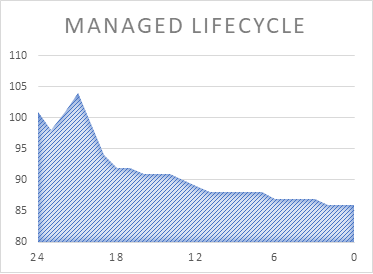 One key differentiator to TEM is having a constantly updated, managed lifecycle. Increased improvement can be found by widening the timespan of inquiry. TEM is an “always on” solution. Results should come quickly in either solution. But which is faster? An audit, right? Well, an audit is definitely shorter because like any project it has a definite beginning and end. But is an audit faster to results than TEM? No. Audits may appear to stack all work effort in a shorter period of time. But it’s the same work effort as a TEM implementation. Perhaps you’re concerned that you don’t have the resources available to support an audit’s front-loaded resource demand. In that case, if you’re asking which is faster, perhaps time savings is important to you. Remember: Audits save money, TEM saves both time and money. Both solutions have the same lead-time to cost-savings results. Sometime audits are lauded as the cheaper alternative to TEM. But is that true? It depends on your audit and TEM partner. With CMG, full audits are included in all our lifecycle TEM solutions. This isn’t true from most providers. This is why we provide both options to clients. Often, clients can get two or three years of TEM service for the price of an audit. That makes the decision easy. What about contingency audit engagements? These pricing structures can be very helpful for organizations lacking the budget for – or faith in – an audit. CMG offers contingency based audits for this reason. But be sure to evaluate them thoroughly. Run a conservative estimate of savings and fees and compare that to the cost of a TEM solution. Of course, this isn’t apples-to-apples since TEM provides much more than an audit, but it gives perspective. Audits can be more expensive than they initially seem. If you do choose a contingency offering, never pay more than a percentage of one year’s savings and pay fees monthly, never in one lump sum. Avoid upfront, flat-fee audits unless it is discounted heavily and requirements and deliverables are clear upfront. Is there a “Best of Both Worlds” solution? If the primary consideration for an audit is a contingency pricing engagement, CMG has a unique solution to consider. CMG offers success-based TEM. Like a contingency audit, there are no out-of-pocket or upfront costs. This service begins with an audit PLUS a concurrent implementation of full TEM lifecycle management services. To learn more about CMG’s comprehensive approach to optimizing telecom solutions, call (800) 599-9315.